Our Duet collection in Long Staple Cotton Percale in White and Ivory. Choose from more than 35 matte thread color options (see Legacy Home Matte Thread Ring.) Shown with Duet Dakota diamond pique Coverlet. 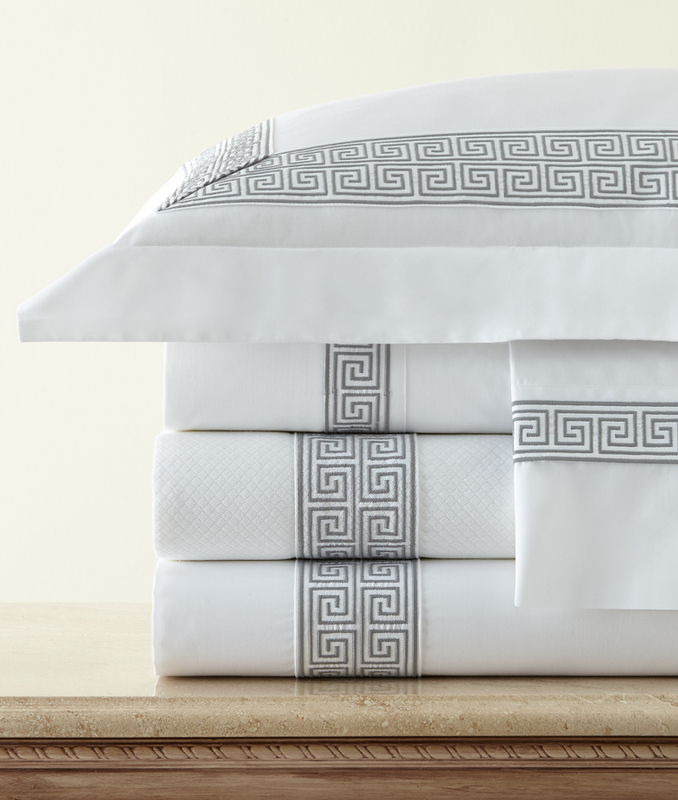 Duvet Covers and Shams have wide embroidery bands; coordinating Sheet Sets have narrow embroidery bands. 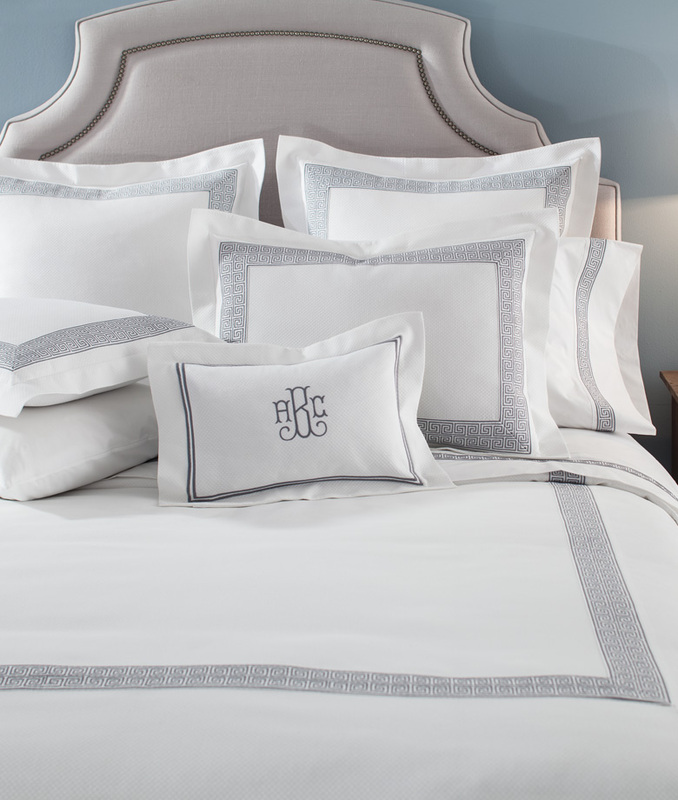 Duvet Covers, Coverlets, Bed Skirts, Shams and Pillows also available in Dakota diamond pique.